This page affords the opportunity for sharing. It houses presentations that our members and guests have given over the years at the Club as part of our Lecture Series. They have been kindly provided with permission and the contents remain the property of the author. Sharing of information and advancing knowledge of stamps and the postal history of Lancaster County and beyond by means of educational and historical research is a key tenant of the Society. Contact Dr. Charles J. DiComo if you would like to share. From December 2017 through April 2018, the Chester County Historical Society held a seminal Philatelic Lecture Series called “You’ve Got Mail” in West Chester, PA. 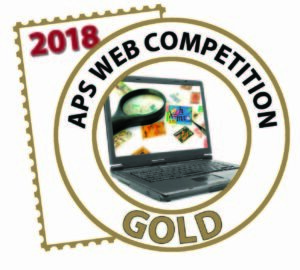 This was made possible by our friend Bill Schultz, longtime Exhibitor, Accredited APS Judge and Board member of the American Association of Philatelic Exhibitors. Admission was free for all lecture attendees and all lectures were underwritten by generous donations from the philatelic community. The speakers, preeminent philatelists, postal historians and award-winning exhibitors, are listed in the CCHS Lecture Series Handout. We are immensely grateful to the speakers who kindly permitted us to share their presentation on our website. Please note the contents remain the property of the author. On 20 March, 2018 Scott Tiffney wrote an excellent article in the PLR Blog, a companion to the Philatelic Literature Review, quarterly journal of the American Philatelic Research Library (APRL) on this lecture series and exhibition, entitled “Postal History: Alive and Well in West Chester, PA”. Click HERE for the full article – Enjoy!